Expose the pure elegance of your style wearing the Marchesa Notte™ Short Sleeve Metallic Embroidered Cocktail Dress. Scallop trim, V-neck, sheath dress. Banded waist with attached pencil skirt. 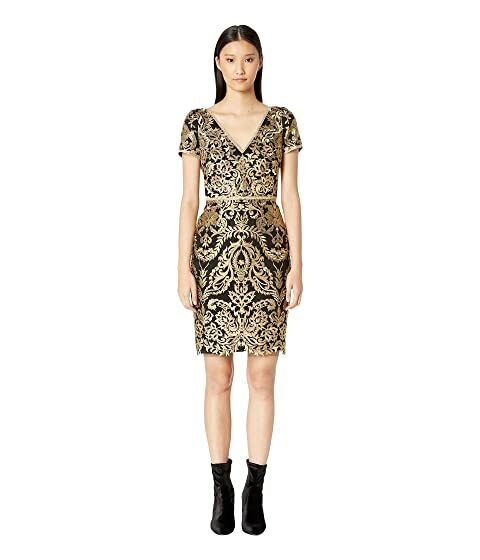 We can't currently find any similar items for the Short Sleeve Metallic Embroidered Cocktail Dress by Marchesa Notte. Sorry!